Time to get a bigger closet! 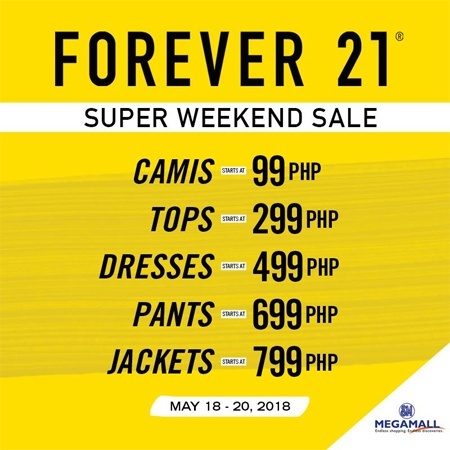 (SPOT.ph) Shopaholics, hold on to your paycheck just a little bit longer because Forever 21 is having a Super Weekend Sale this weekend, from May 18 to 20, at the SM Megamall branch! 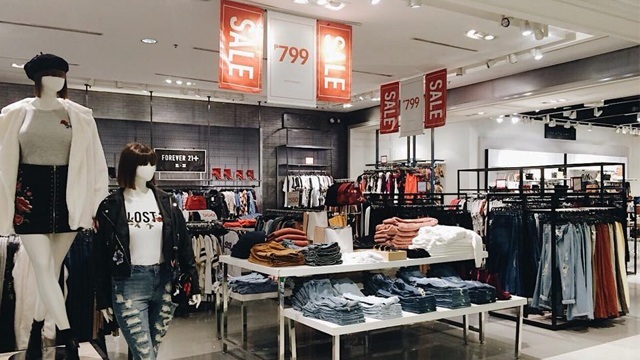 Get the most bang for your buck because you can score chic fashion pieces for as low as P99. You can shop basic camis, stylish tops, summer-ready dresses, fashionable pants, and cool jackets to add to your wardrobe! You might need to get a bigger closet, though.